After visiting with a friend, she convinced me to try making my own cheese. Doubting my ability, I asked her if there was a cheese-making for beginners class she could recommend to me. She smiled and said she would be happy to teach me. Think it’s too difficult to make your own cheese? Think again! Making cheese can be quick, easy and inexpensive. In fact, some cheese can be made in just three steps. Below are three recipes that you can make at home. Even if you’ve never made cheese before, you can make these simple cheeses to save money. And they’re much more nutritious and taste better than the store-bought versions that are full of chemicals and preservatives. There’s something filling about eating cottage cheese. It has lots of protein and makes a great breakfast or snack. But the cottage cheese that you get from the grocery store doesn’t always taste good. If you want delicious cottage cheese, why not try making it yourself? It just takes a couple of minutes to make and is a great recipe for those of you who feel like you are a cheese-making beginner! Pour the milk into a large saucepan and cook over medium heat. Check the temperature with a candy thermometer and continue cooking until it reaches 120 degrees F.
Remove from heat. Stir in the vinegar and continue stirring for 1 to 2 minutes. Cover and sit at room temperature for 30 minutes. Pour the mixture into a colander lined with cheesecloth or a tea towel. Allow to sit and drain for 5 minutes. Gather up the edges of the cloth and rinse with cold water for 3 to 5 minutes. When it’s cool, squeeze the curds dry as much as possible. Transfer to a mixing bowl. Add the salt and stir to combine. When ready to eat, stir in the half-and-half. 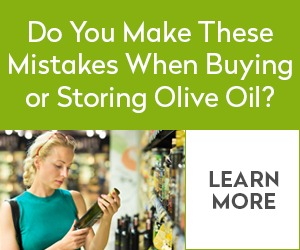 If not, transfer to an airtight container and place in the refrigerator. Add the half-and-half just before serving. Farmer’s cheese is a great cheese for beginners. So if making your own cheese sounds intimidating, try this recipe first. And it tastes great in lasagna, tacos, salads and even cheesecake. In fact, that’s my favorite way to use farmer’s cheese. And now that it’s fall, try this pumpkin cheesecake; it’s my favorite cheesecake to make! Pour milk into a large kettle. Add a pinch of sea salt. Bring to a boil over medium heat, and stir occasionally to prevent scorching. When the milk starts to boil, turn off the heat. Stir lemon juice into the milk. The milk will curdle. Wait 10 minutes. Line a colander or strainer with cheesecloth or a tea towel. Place a large bowl underneath the colander to catch the liquid. Pour the milk through the cloth. What is left in the cheesecloth is the farmer’s cheese. And the liquid that is leftover is the whey. Gather the cloth around the cheese, and squeeze out as much of the whey as you can. Wrap in plastic, or put in an airtight container. Store the cheese in the refrigerator; it will keep for a week. Homemade mascarpone is just as good as the store-bought version. It’s also quite simple to make, and is cheaper than buying it. Mascarpone cheese is too rich to eat by itself, sort of like eating a spoonful of butter! But it’s delicious to use in savory and sweet recipes alike. Pour heavy cream into a large pan. Simmer over medium high heat until a thermometer reads 190 degrees F. And stir often to avoid scorching. Stir in the lemon juice and continue to simmer at 190 degrees F for 5 minutes. The cream should be thick enough to coat the back of a spoon. Remove from heat and allow to let cool for 30 to 45 minutes, or until room temperature. Place a strainer or colander lined with cheesecloth or a tea towel over an empty bowl. Pour the cream, cover with plastic wrap, and place in the refrigerator. Keep the cream for 8-12 hours or overnight in the refrigerator. Next, discard the whey and put the cheese in an airtight container. You can store it in the refrigerator for up to a week. Don’t buy expensive cheese that is often full of chemicals and additives. Instead, make your own cheese! By following the recipes above, you’ll become an expert in making cheese in no time. But there’s only one drawback to making cheese — it won’t last long! And if you do run out, don’t worry. These homemade cheeses are so simple and easy-to-make, that you’ll be able to whip up some more in no time at all! With a little practice, you’ll no longer be a just cheese-making beginner, you’ll be an expert! Previous: Charged With A Felony For Complaining About Cops?